wedding & party DJ directory since 1995! Favorite Announcements: Personalized Candy Bar Wrappers and Bottle Labels for any occasion. Specializing in wedding favors, birth announcements, and party favors. Favors Direct: First seen at parties in New York City's Pierre Hotel and wedding receptions at London's Four Seasons, we now bring you a unique collection of silver plated keepsakes and favors, pewter placeframes, and votive candles made of exceptional materials and unmatchable quality for your next event. It's My Mitzvah: Honor a special occasion with our unique line of printed, personalized favors for bar mitzvahs, bat mitzvahs, weddings or other celebrations. Print water bottles, scrubs, sports balls, t-shirts, ball caps, travel cd cases and much more with your name and celebration date. CD Celebrations: Personalized CD favors for weddings and anniversaries, musical gifts for baby and CD greeting cards for all occasions. Free Kids Party Invitation Templates: Make your kid party unforgettable with Free DIY party invitation templates for children. You can save these free invitation templates to your computer and customize in text-editing software. Alice Blue Bridals: Put the romance back into wedding shopping with an inspired selection of wedding gifts and accessories. Collection includes cameras, unity candles, toasting glasses, guestbooks, specialty items, wedding bubbles, and more. Bridal Shower Tips: Bring on the bride! is what we say at Bridal Shower Tips, a thoroughly current look at the ways you can prepare for her Big Day. Get tips on where to throw your bridal shower, favors, games, and gifts to give the new couple. Bridal Shower Tips has a million and one ways to celebrate the bride. Bellissima Bridal Shoes: Perfect for brides and bridesmaids looking to strut their stuff in strappy sandals, slingbacks, or retro pumps, we've got the world's best in bridal shoes from world famous designers like Vera Wang, Stuart Weitzman, Shelley George and more. Wedding Gazette: Transform your wedding inspirations into reality with helpful articles on wedding flowers, bridal showers, wedding favors, making a budget, dealing with Mom, and more. 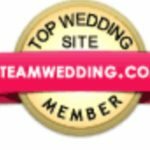 Free newsletter contains wedding trends, tips, shopping, and advice.WeddingLenox helps engaged couples find wedding vendors offering the best wedding photography packages, wedding decoration, DJ, flower, musician, catering and planning services all in one place.